also, on mobile when entering phone number the form changes where the phone number is unable to be entered any suggestions for fixing this? 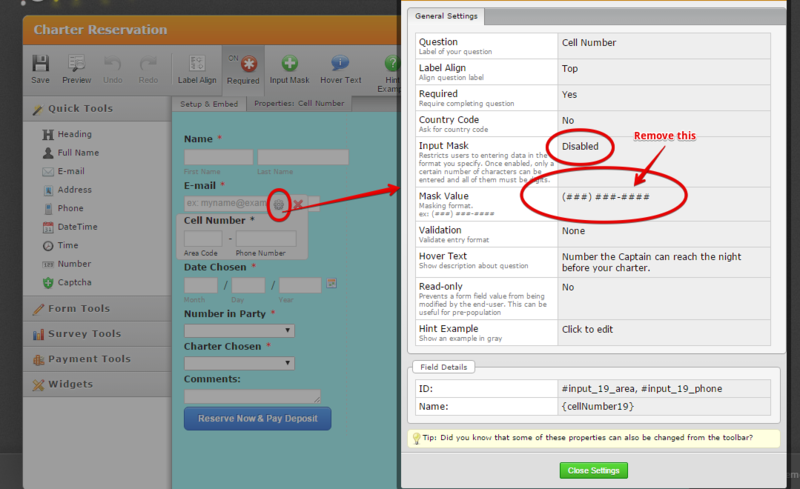 Since Input Mask property was already disabled on the form http://www.jotform.com/form/11452923256, can you please remove also the Mask Value in the property of the form. The uneeded value must be causing the issue on the form. Hope this help. Let us know if still not working.